The following recipe was found in a hardback book that belonged to my mother. Jams Pickles & Chutneys – Bridget Jones. 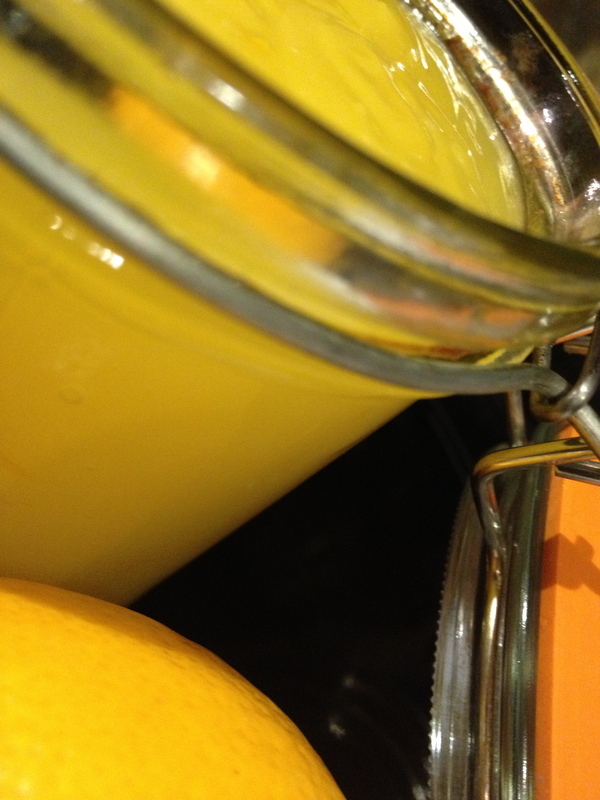 The original recipe was for Lemon Curd, It has worked beautifully with the Meyer Lemons. 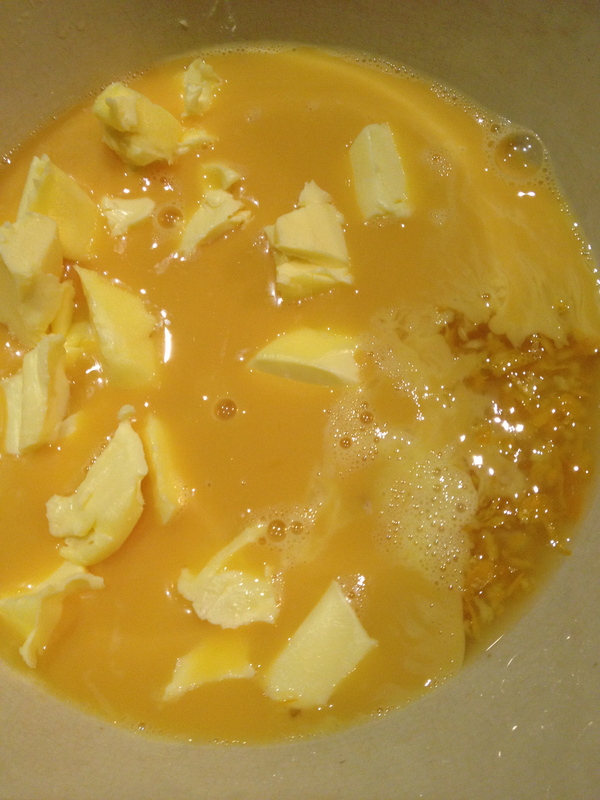 Mix all the ingredients in the top of a double saucepan or in a large basin held over a pan of gently simmering water. Do not allow the water to boil or the curd may curdle. Stir in the the mixture until the sugar has dissolved, continue cooking, stirring frequently, until the eggs are cooked and the mixture has thickened enough to coat the back of a wooden spoon. Pour the curd into clean, warmed jars and cover the surfaces with waxed paper discs, waxed sides down. Allow to cool before topping the jars with pieces of cellphone or airtight lids. I popped some in the freezer … ready for when my Grandchildren arrive!